With spring upon us, the number of baby raccoons being found in and around homes is on the rise. These little creatures are even more cute and cuddly looking than their fully grown parents, but they are still dangerous and shouldn’t be approached. Baby raccoons are able to carry the same infectious diseases as their adult counterparts, and if their mother is around she will be very protective of her babies and much more aggressive than usual. Because of this aggression, if you discover baby raccoons on your property we urge you to call the trained experts here at Critter Control of Dallas right away. Our highly trained technicians are equipped with the proper knowledge and equipment to handle a raccoon infestation safely while keeping you and your family out of harm’s way. Our services don’t stop at removing the baby raccoons, we remove food and water sources to deter them from coming back in the future, and can repair any damage caused during their stay. 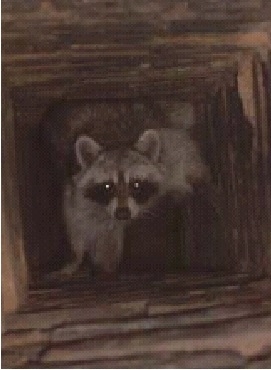 Critter Control of Dallas not only looks out for your safety, but the wellbeing of the critters as well. Our trapping and relocating methods are the most humane available anywhere and we only relocate the offending critters to a hospitable area where they will live a full and happy life. Give the professionals at Critter Control of Dallas a call today at 817-222-1101 or fill out a Contact Us form for your free estimate.